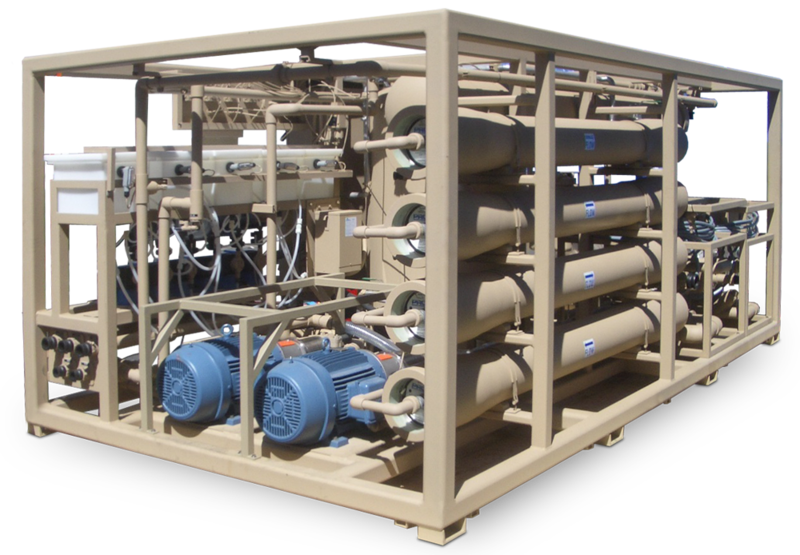 Custom Engineered Seawater Desalination RO Systems | Applied Membranes Inc. 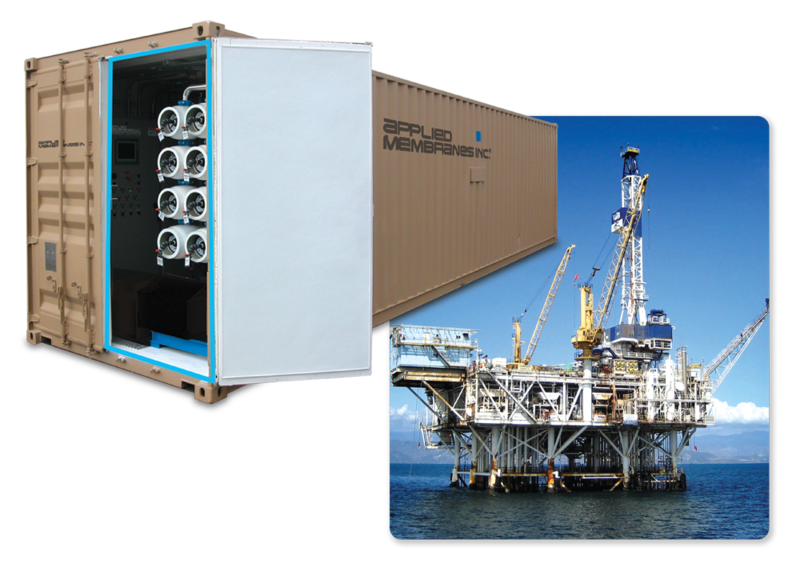 Applied Membranes’ experience extends beyond standard seawater desalination systems. 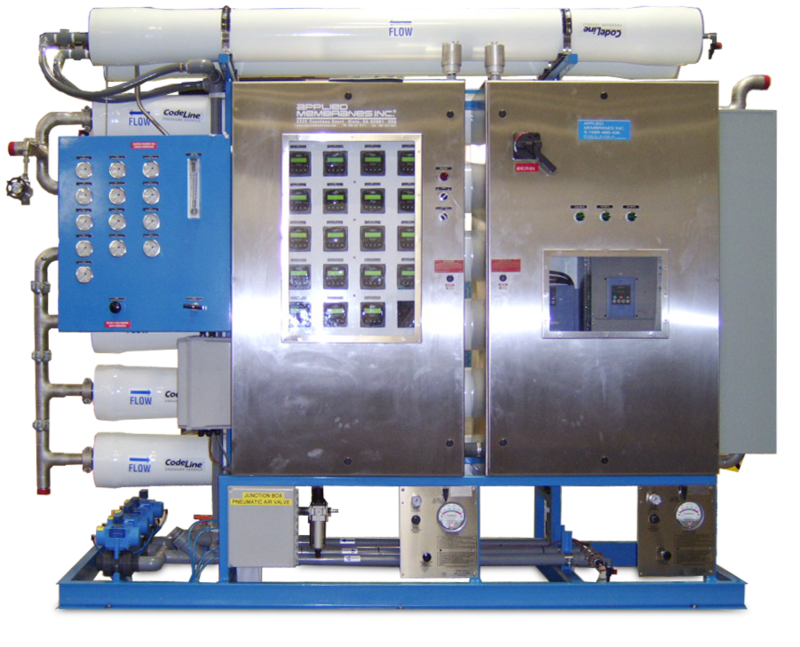 We have supplied complete seawater desalination SWRO systems with Energy Recovery, Data Logging, Containerized Systems, Explosion Proof Systems, Portable Systems for Military Operation, and many more up to millions of gallons per day. AMI welcomes the opportunity to work with you to fulfill your specific filtration needs. Applied Membranes energy recovery systems recover energy from the waste stream of seawater reverse osmosis (SWRO) systems at up to 98% efficiency. Energy recovery will normally pay for itself in energy savings and especially make economical sense in areas where electricity costs are high. Main high pressure pump is sized to only the permeate flow rather than the full membrane inlet flow allowing energy savings almost 50% over 20-35% from other manufacturers. Data logging with real-time and historical data trends and reports to simplify plant performance monitoring and reporting. Remote monitoring via Internet configured to show real time system information for monitoring and remote control of the unit. Alarm notification to contact operation personnel via cell phone or text. All Equipment Installed in 20’ or 40’ ISO Container with double cargo doors on one end and a man door on a long side. Exterior epoxy painted. Interior lighting, flooring, and optional insulation heating and air conditioning. Motors and instrumentation explosion proof type. High voltage and instrument panel enclosures with air purge.